The Inner Battle: Quit Smoking Your Shisha Pipe. Period. Deciding to quit smoking start from within; no one else other than you can really say to stop smoking. Whoever you are or what your background maybe, everyone fights with the resolve to quit and the bad habits built throughout the years. Smoking shisha when done in habit is a physical as well as psychological activity. This act added as a daily ritual becomes reinforced the longer you do it. 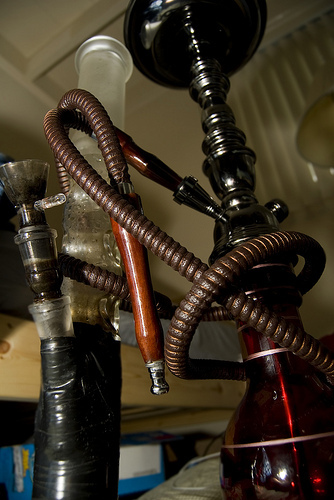 The addiction from the actual herb or tobacco shisha as well as the act of smoking the hookah causes a sort of high. Whether you started the bad habit of smoking when you were a teen or not, you can still quit the habit of smoking. It is never too late to quit the habit of smoking shisha. The inner battle starts with the decision that you finally would live out a healthy life; reinforcing your resolve with a personal “game plan” in order to help you rid the bad habit of shisha smoking. This can be further strengthened by your external influences and altogether removing yourself from the temptations of smoking. It is important to remember that to keep undesirable feelings and actions in check by replacing the usual pre-smoking habits with health alternatives. Sit down to meditate. You would be more in tune with your body and mind when you are in a quiet and meditative state. Look for the long-term and over-all advantage of removing the bad habit of smoking the pipe. Make the full resolve to live a healthy life. Kicking out the shisha pipe from your life will definitely free you from the adverse effects of smoking and you will have more energy and vitality in your daily life, with a bright smile and fresher breath to boot. Think about the benefit of making your home and environment a healthy one to live in. Your family, friends and colleague will definitely be grateful to your non-toxic presence. They will no longer be exposed to second-hand smoke that comes from your usual shisha smoking habits. Save up the buck. Indeed, your pocket will save out on your usual shisha smking habits’ expenses. You can even rid yourself of your stock shisha paraphernalia by selling if off or simply throwing it out of your life. Hesitation causes further problems in quitting from the habit of shisha smoking – so do it now and take the first step to finally beating the bad habit out of your life.